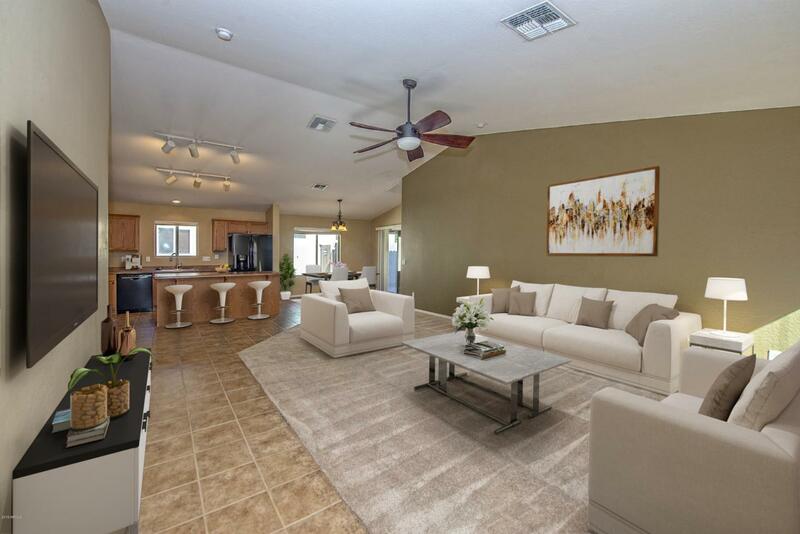 Immaculate home that backs up to retention area, so no one behind! 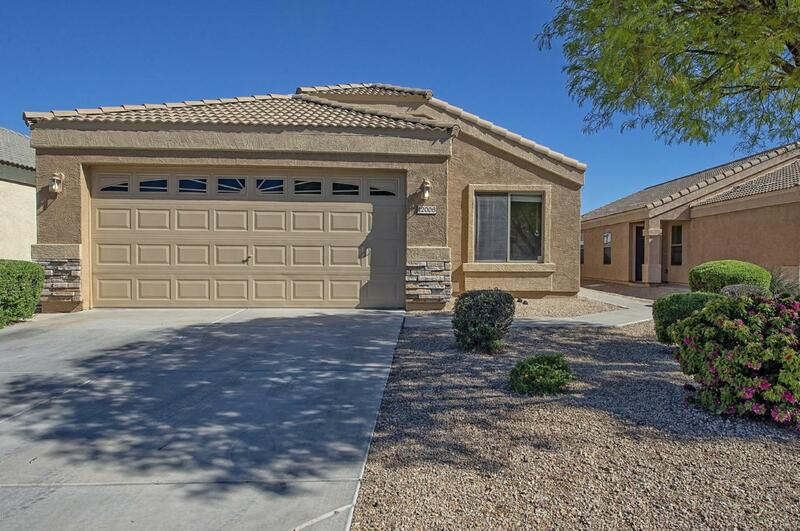 Open floorplan with custom paint throughout, vaulted ceilings, large kitchen island with upgraded cabinets, all black appliances, and pantry. 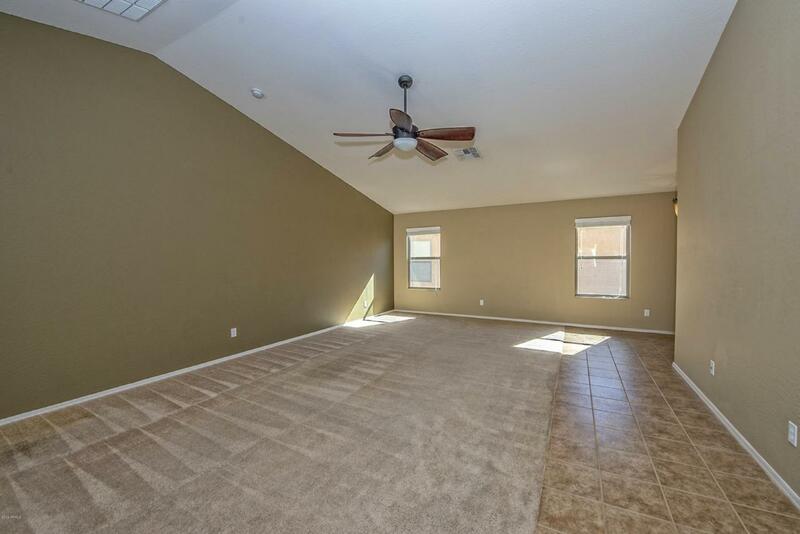 Large master is split at the back of the home with walk in closet. The 3 guest bedrooms are at the front of the home and share a bath. Exterior was recently painted, there are upgraded fixtures and fans throughout the home, & newer water heater. The backyard is nicely landscaped with a block retaining wall and grassy play area. 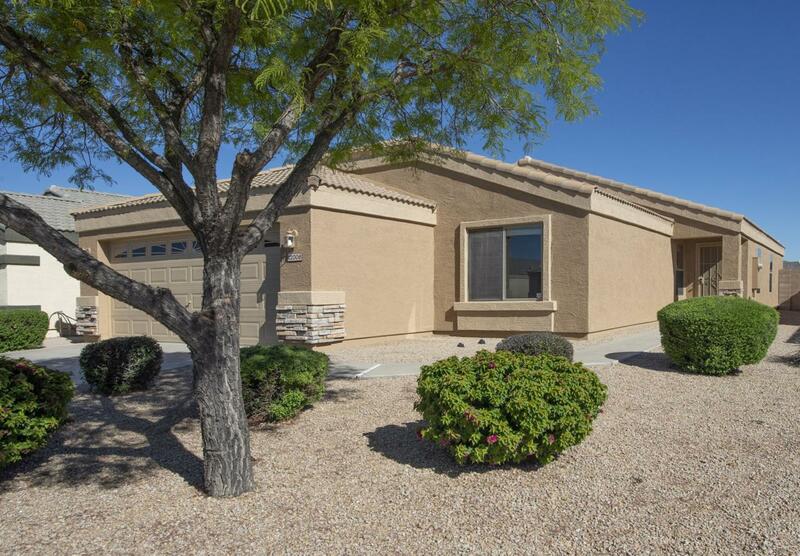 This home is lovely and move in ready!